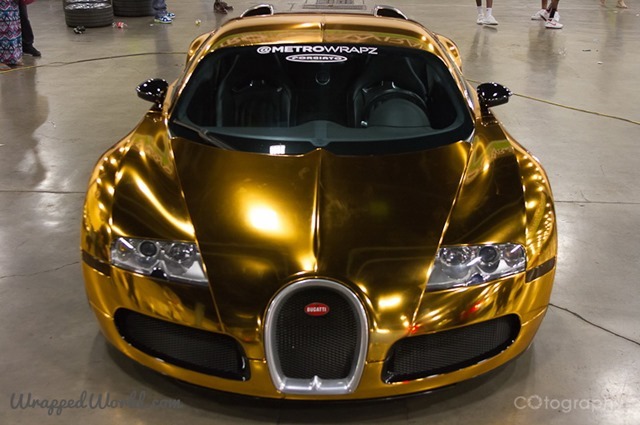 Rapper Flo-Rida was apparently unsatisfied with his Bugatti Veyron in the attention-getting department. 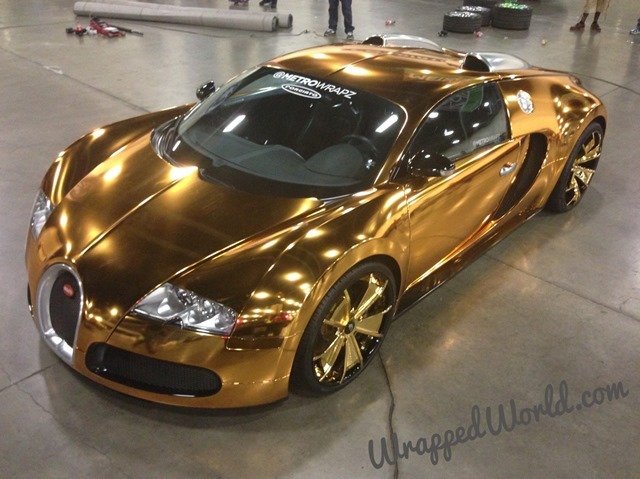 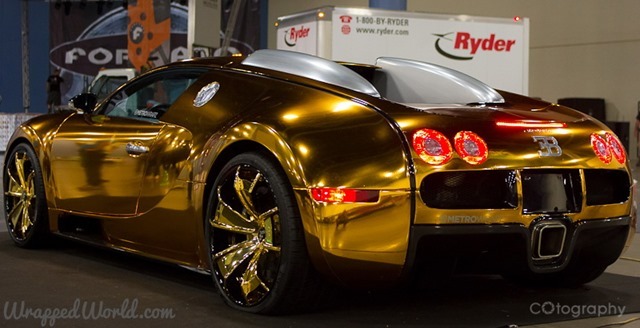 So he did what anyone in that lamentable situation would do, and wrapped it entirely in shimmering gold chrome. 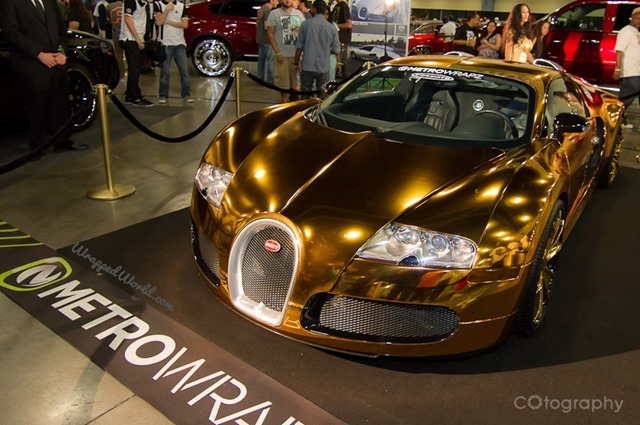 Flo-Rida achieved this feat with the help of graphics installation company Metro Wrapz. 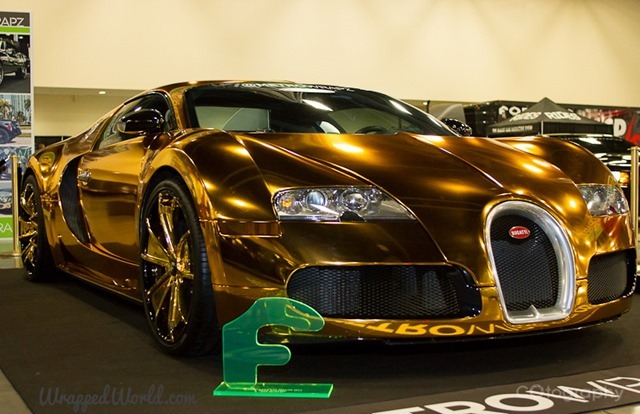 Their slogan is “Our Wrapz Create HYPE!,” which is certainly what they have done here.